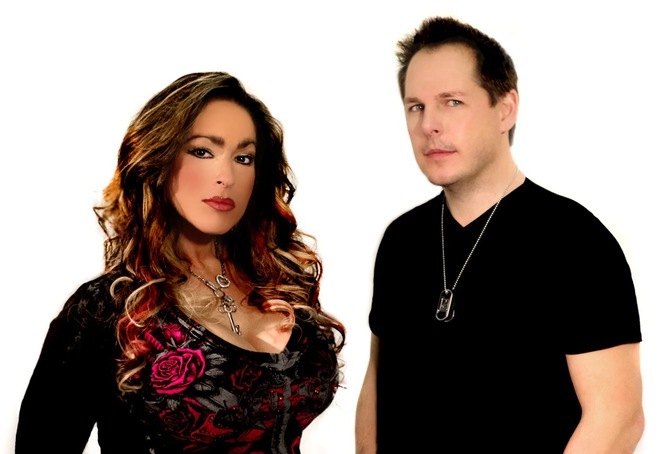 A&L Music is a new act made up of two musicians from Buffalo, New York: Anthony Casuccio and Lana Marie. Anthony's 20-year music career has seen him nominated for three Grammy awards, featured in major music publications and topped the music charts. Lana has had her fair share of successes too, as an award-winning vocalist she's been a long-time force on the East Coast music scene and voice to many jingles on radio and television. "We started off releasing our first song for fun." Says Lana Marie. With the overwhelming positive response from their debut release, A&L is back with a new tune. Onto the Next Heart is an upbeat, Pop/Rock song with catchy hooks and the in-your-face vocals may well have you singing along. Tell me how you both met and what brought this collaboration together? We met when I was producing jingles. Lana sang on a few well know jingles that I composed. I wrote Get Me a Drink and thought it would be great to have Lana's voice on the track. Lana is a well know performer in our parts. She agreed and the song received a lot of attention so we decide to form A&L and we have not looked back. Yes, we are from Buffalo, NY. Buffalo is a great place for musician. There is a ton of places to play. From bars and clubs too many venues for original music. We have a big summer music season with lots of outdoor concerts that also give bands the opportunity to play and open for national touring acts. From an acoustic act to a huge stage show, there is always music going on in Buffalo. What's on the cards at the moment? Are you writing new material, producing an album, doing gigs? Tell me how this is going for you both? All the above, we are currently working on a new single that will be released in August. We have a few select live shows planned for the summer. Lana is constantly performing, she is quite in demand and I have a lot of studio work planned for the summer. We will be working around both of our schedules to finish recording our third song. I think it will be our best release yet and cannot wait to get it out to our fans. Is music your full-time gig, if not what else do you both do with your time? Music is my life, I teach recording at the college level, I compose jingles and I run a mastering company called Xtream Audio. Lana is constantly working too. She fronts a well-known band in our region called Black Widow. They are one of the premier show bands and are always booked. A7L has been great for us both as it has given us each a chance to create original music and have fun at getting our releases out to the music world. I loved the Beatles and Van Halen. I also grew up on Prog Rock like Rush and Triumph. I am a big harmony person. Lana sites Pat Benatar, Janice Joplin and Heart as influences as well as today's top performer Miranda Lambert.